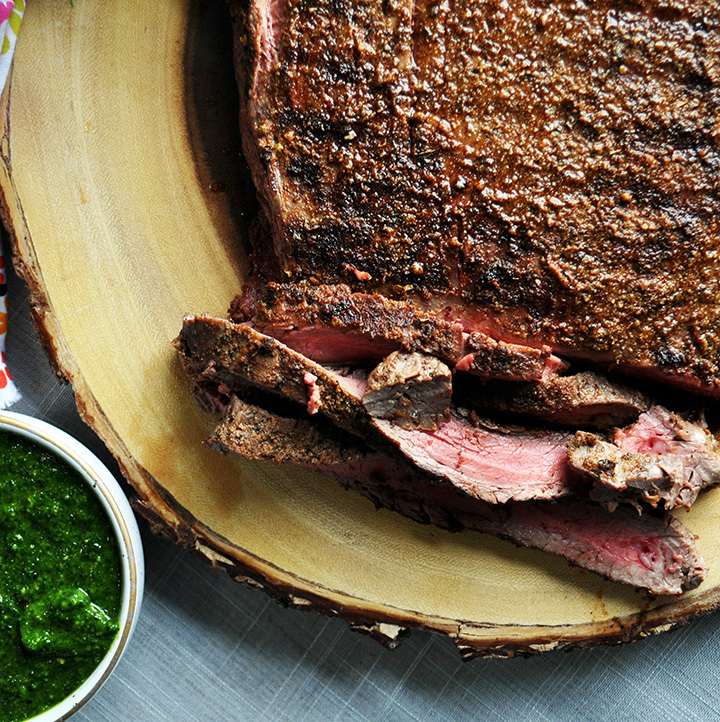 Flank Steak with Chimichurri Sauce has been one of my family’s favorite meals for years. 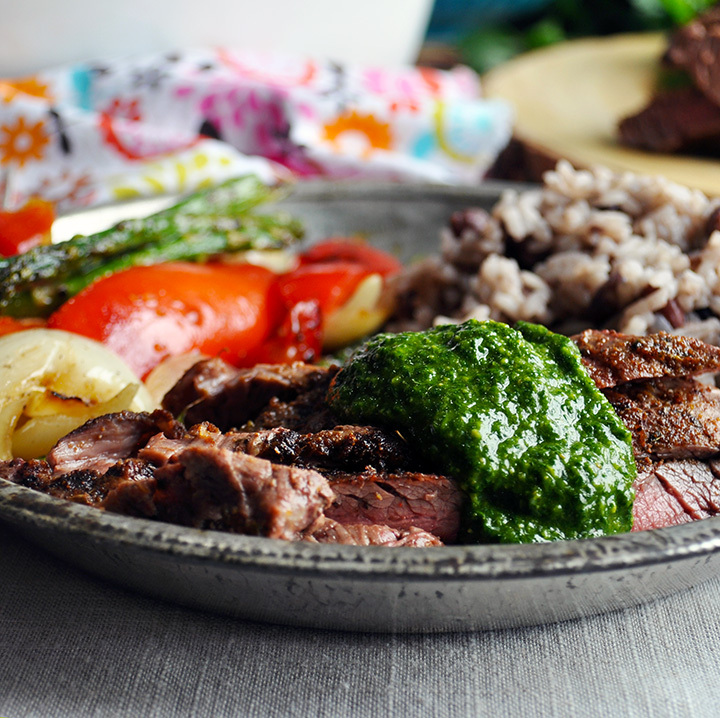 The first time I ever had Chimichurri sauce was at a restaurant in Denver that focused on Cuban and Argentinian food. They made the BEST mojitos, served with a stick of sugar cane. They also had this amazing cheesecake “tree” for dessert – a tree trunk made of metal, with cheesecake cake pops (before cake pops were a thing) for branches. Sadly, the restaurant went out of business a few years ago, but aside from the mojito and cheesecake tree memories, I am forever in its debt for introducing me to steak with chimichurri sauce. After eating it for the first time, I started making it at home where it quickly became a staple recipe. If I remember correctly, the dish they served at the restaurant used skirt steak and the chimichurri sauce was a bit runnier – more “sauce-like” than what I like to make at home. I tend to prefer flank steak, but skirt steak works just as well. And if you like the idea of a chimichurri sauce that flows over the top of your steak rather than sitting on top, just add more olive oil. As mentioned above, substituting skirt steak for flank steak is perfectly acceptable. 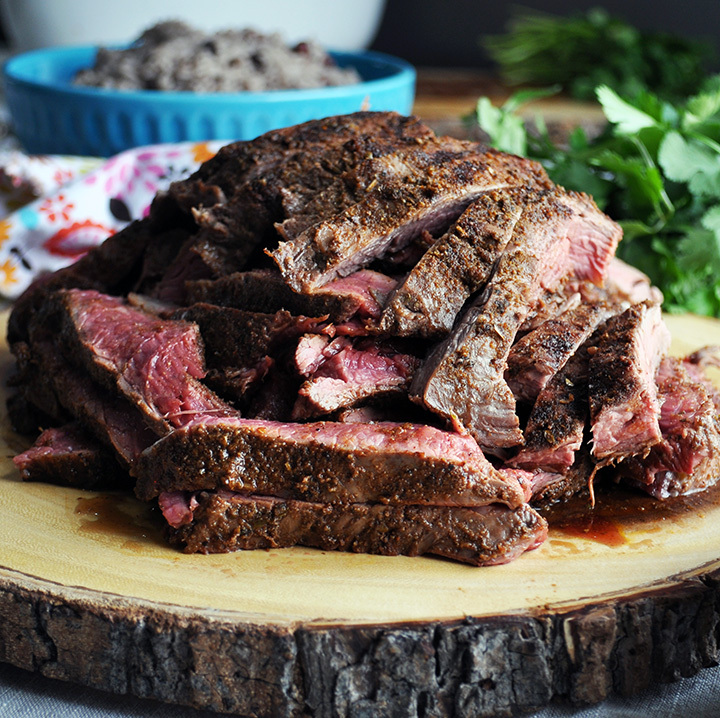 You can also use Flap Steak, although this cut is often difficult to find. Flat Iron steak will work well too. I use an indoor grill to cook the steak because neither myself or my husband enjoys outdoor grilling. But, if you or someone in your house is a grill master, fire that baby up. This steak would be especially delicious if you threw some aromatic wood chips on the coals. 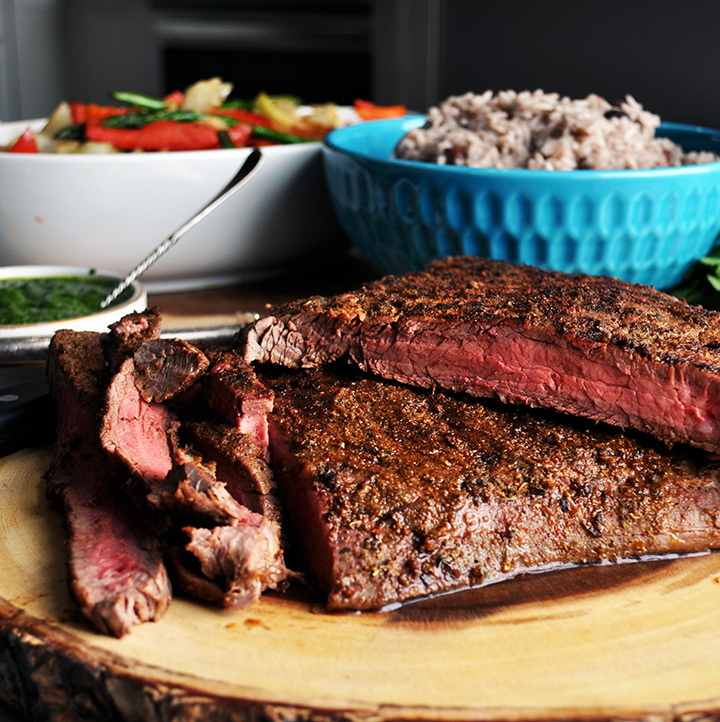 I’ve also recently discovered Sous Vide cooking – a super easy way to cook flank steak. I’ve included instructions in the recipe for cooking flank steak Sous Vide style right after the grilling instructions. 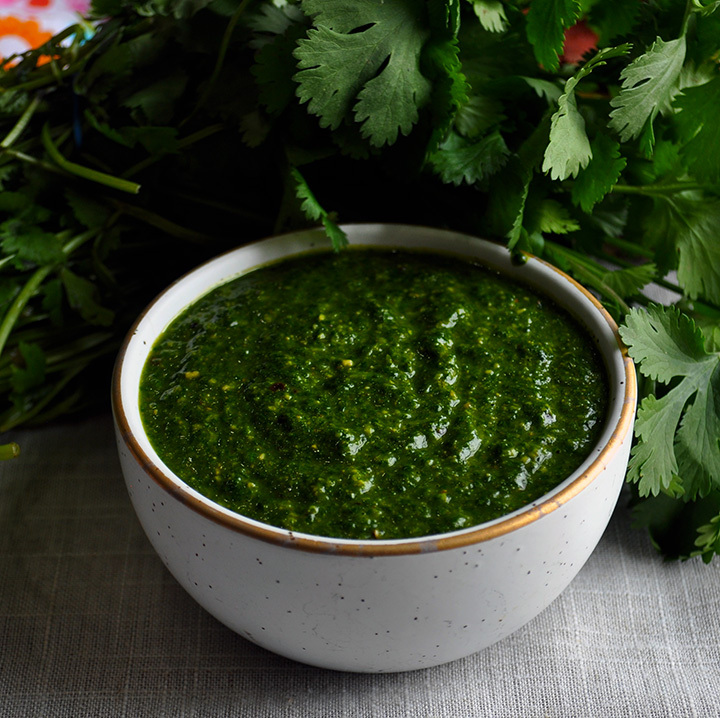 Having made chimichurri sauce many ways, this is my all-time favorite recipe. It contains equal amounts cilantro and parsley, a high proportion of vinegar, and is more the consistency of a condiment than a sauce. I prefer to use my food processor to blend it up because it creates a more “chunky” consistency. 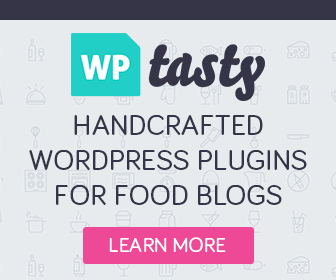 I have made it in my Vitamix blender, which also works, but produces a smoother sauce. There’s no right or wrong with chimichurri sauce. 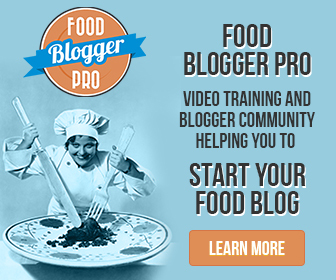 Experiment with ingredient proportions and whether you prefer the consistency you get from a food processor vs a blender. Whatever YOU like is the right way to make it. 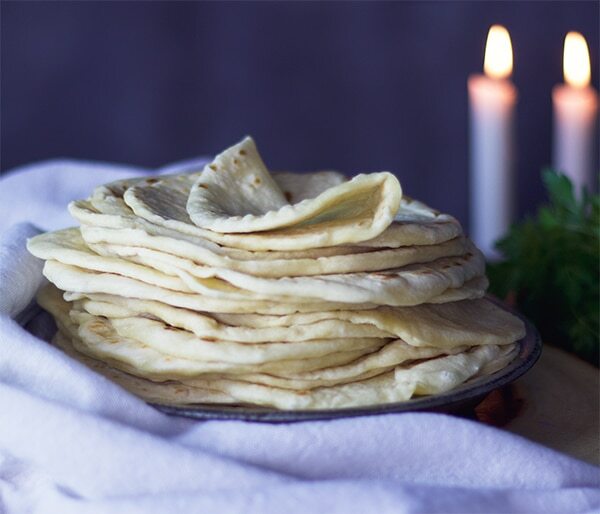 And, if you really want to blow people’s minds, make a batch of warm, homemade flour tortillas, which are SO good and so much easier than you might think. 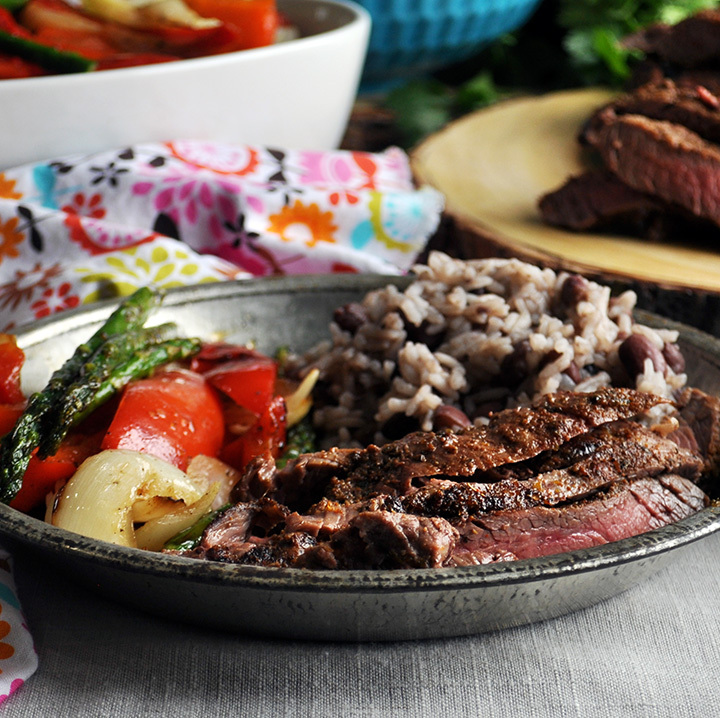 This simple flank steak recipe will only take a few minutes of preparation and is flexible enough to feed 1-2 people or a large crowd. 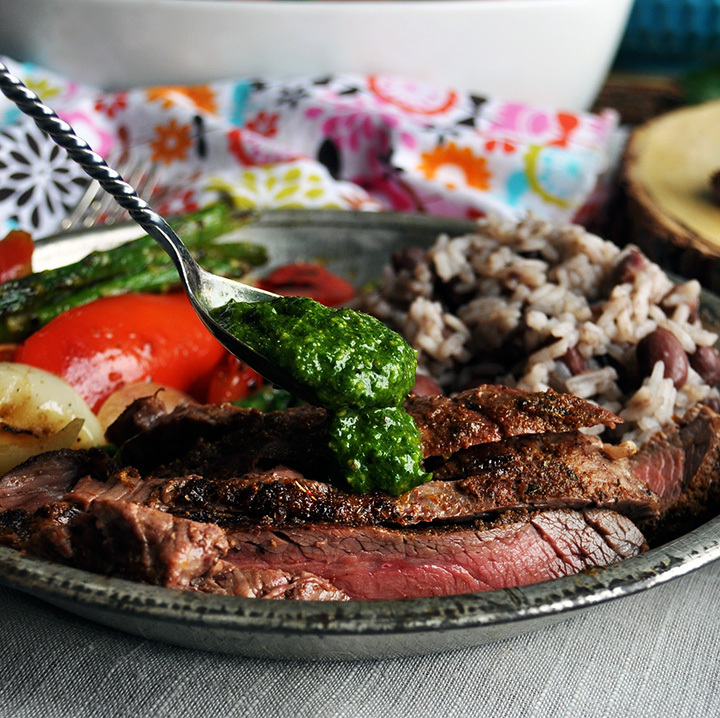 Mix the chimichurri sauce before grilling the meat and let it sit in the refrigerator until ready to serve.